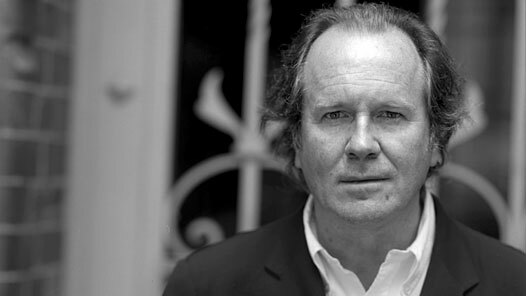 William Boyd has always been ‘a safe pair of hands’ in my eyes, as a novelist. He always writes well, he writes with interesting perspective, creates well-rounded characters and has a strong sense of narrative, a story well-told. 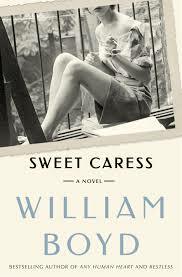 And those novels where he examines the sweep of the twentieth century through the eyes of generally a creative mover and shaker of some kind, such as The New Confessions (a film-maker) and particularly Any Human heart (a writer) are particularly gripping, rich and rewarding reads. And I do have to say I wasn’t completely convinced that Amory Clay was believably female in her sensibilities. Clever Boyd to give her a neutral and unusual name so that she kind of holds, for this reader at least, the imprint of another similarly named Amory – Amory Blaine from F Scott FitzGerald’s first novel, This Side of Paradise. It rather gave an androgyne quality so that Boyd’s Amory came trailing the clouds of post first world war youth and hedonism, like her Fitzgerald namesake. What Boyd sensibly avoided was to write the detail and the emotion of Amory’s sexual encounters. Perhaps nowhere are we so inside our gender as in those bodily sensations. 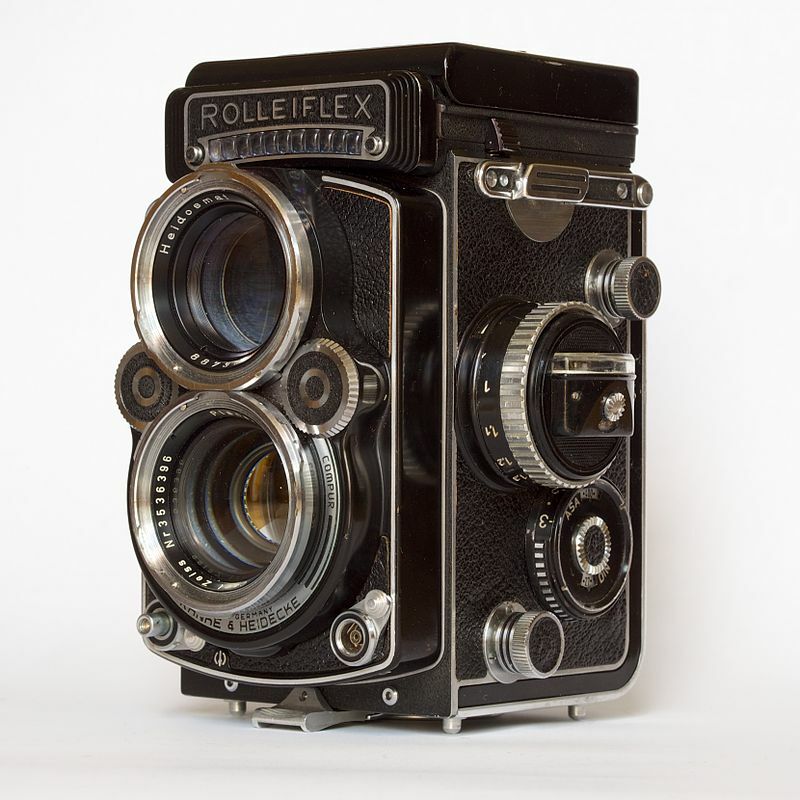 “Rolleiflex f2-8-F” by Sputniktilt – Own work. Licensed under CC BY-SA 3.0 via Commons. Where I couldn’t quite connect Amory Clay as female was in a curious disconnection from explaining how she was feeling within her relationships, the emotional tenor of them, whether as lover, or, more particularly, as mother. It’s certainly not true that all women are more feeling, all men more thinking, in tone, but there was a kind of distance from her feelings, with Amory, given that Boyd had chosen the first person narrative, the character inside her own head, that did not feel quite like a female. I could, just, rationalise this by relating it to her profession – a photographer is standing outside the situation and observing it, and, given that she was a public photographer, a photojournalist, her profession will have led her to something that makes a comment about situations rather than inhabits it. And this was underlined by the structure of the book – it is peppered with photos from Amory’s album, from her first, early snaps as a child, to photos she took as a War photographer in the Second World War and in Vietnam, so there is a lot of describing what is going on in her own life, deconstructing and commenting on her own life and feelings as if she were an outside observer of it. This sense I had of a disengagement with emotion does not in any way mean that Boyd is a writer who is disengaged with emotion. I think back to Lysander, the central character of Any Human Heart, who was intensely emotional – a particularly suffused with feeling man. Structurally, the book alternates between the central character, an elderly, widowed woman living in the far north of Scotland, in a settled degree of rural isolation, in the present, or near present, and going back to her beginnings, moving forward in the journey of how she got from there to here. She was an interesting and fascinating person to spend a life journey with, and there are the usual trademarks in these kinds of books of Boyd’s – real people, real events, drift in to the edges of Boyd’s imaginary characters, giving the feel of biography as much as fiction, though he doesn’t (thankfully) take outrageous liberties with the real people and force them into some kind of close or meaningful encounter with his fictional people. As always, Boyd is a wonderful spinner of tales. There’s something about this book which leads it to be read aloud, like being told a story – I suppose because there are two books in one, the daughter’s story, and her mother’s story – so a story is being told within the story. A mother with a secret history connected with the second world war, and a daughter discovering her perception of herself, her mother, and the relationship between them as the past extends its grasp into the present, makes this a compulsive read. Well it did for this reader. I found a fascination in how the daughter discovers that she is not quite who she thinks she is, because she has been brought up with a mistaken idea of her mother’s past, her mother’s identity. In a sense, I suspect part of my fascination is generational – many people who were adults, in a certain time and place in history (the second world war) had lives which they did not want to remember, memories which were too painful to revisit, and so many people born a generation or two later will have been aware that there were ‘secrets’ in the family, secrets which though personal, are linked to a wider history, that we can never properly understand. The rather uneasy relationship between mother and daughter as the past unravels, and as the daughter unwillingly finds she inhabits a more ‘watchful’ space as she begins to see layers upon layers, as her mother did, is beautifully told. My only cavill is anatomical – without wanting to give plot away, there is a crucial event that really could not have happened, due to the size of a fissure and angle. I tried this on a model I happen to have at home (don’t ask!) Mr Boyd should have had a closer look at a good Atlas of Human Anatomy!!!!! I started this a little anxiously, as Boyd’s previous Ordinary Thunderstorms had been deeply disappointing from such a usually reliably fascinating writer. But very quickly, I realised I had gone back to being safe again, in Boyd’s expert hands. As in Any Human Heart and The New Confessions we have an examination of the early part of the last century, and a sense of what it might mean to be English by the experience of a character who is for at least part of the time of the novel, outside England. We have, again, a world linked to the arts, in this case, theatre, with his central character, Lysander Rief, an actor, and this character shares other similarities with those previous Boyd protagonists – a flawed man, a man who is in some senses morally ambiguous, but nevertheless has a strong moral code. His weakness is sexual, in terms of a strong susceptibility to the charms of a particular woman with a much greater moral ambiguity than his own. Entering into choppy waters (again, its rather obvious what is going to happen, given the knowledge that the First World War is brewing) our hero is encountered by some mysterious strangers who are part of the British Embassy set, and its very obvious they will find a use for the mask-wearing talents of our actor, and recruit him to a field where the ability to convincingly wear masks is crucial – espionage. This is not Ian Fleming spying, because our hero is not invincible, is far from being suave and sophisticated, and is often, quite out of his depth, and with no understanding of the game he is playing. It had me gripped and admiring to the very end, the plot, and the emotional twists, and the self-realisation twists of our flawed, but likeable main character, more honest than the series of masks worn by some of the other characters. An unresolved, and totally accurate ambiguity throughout, really.